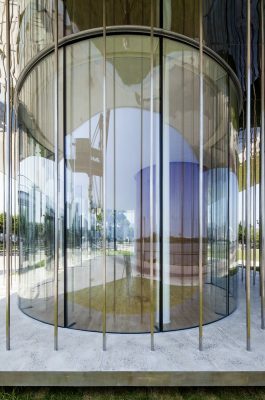 As part of the regeneration and development of the West Bund area in Shanghai, Danish architects Schmidt Hammer Lassen have completed a permanent exhibition and art pavilion on the riverside promenade. 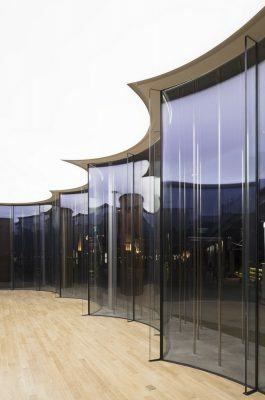 In 2013, SHL were commissioned by West Bund to create a series of pavilions as part of the West Bund Biennale of Art & Architecture, curated by renowned Chinese architect Zhang Yonghe, and architecture Professor and curator Li Xiangning. 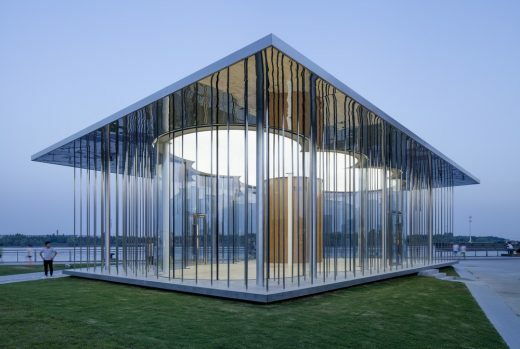 The Cloud Pavilion, was an ephemeral pavilion consisting of two white surfaces and 20,000 pieces of white rope. 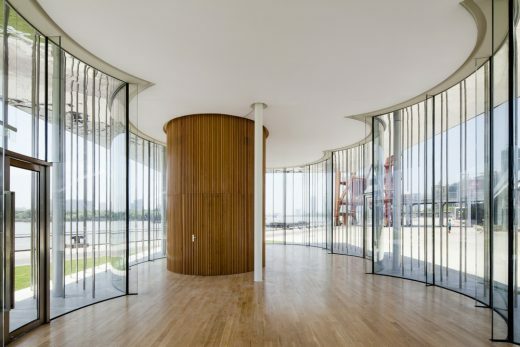 Intended as a counterpoint to the heavy industrial cranes on the waterfront and as a place for contemplation and rest along the HuangPu River, the pavilion was designed to last for the 2 month duration of the Biennale. 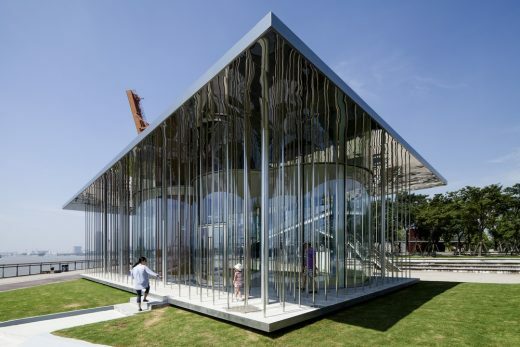 Due to the success of the pavilion it remained in place for over 2 years. 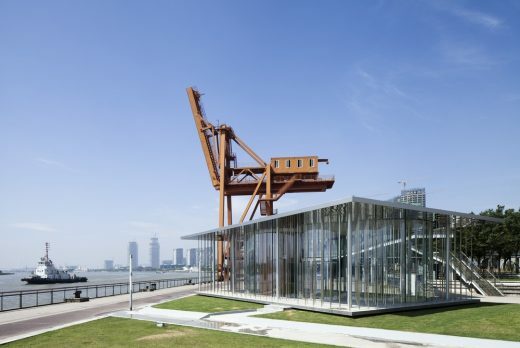 In 2015, the West Bund commissioned SHL to redesign the pavilion as a permanent space for art and events. 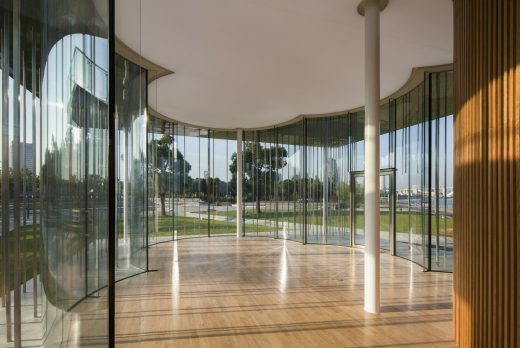 The project brief was to maintain the steel structure of the original pavilion, create a minimium of 100m² space for events and small exhibitions, provide a small kitchen with storage, and maintain the original notion from the Biennale pavilion of a ‘cloud’. 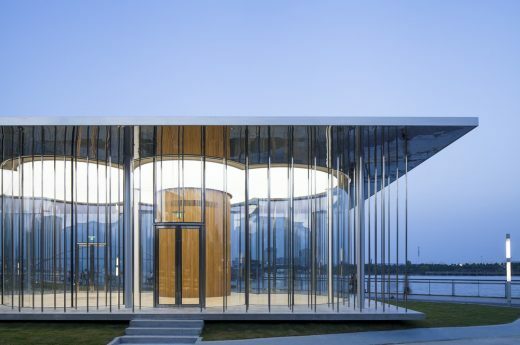 The Cloud Pavilion is just one of many projects currently being designed by Schmidt Hammer Lassen architects along the Huang Pu River in Shanghai. The studio is working together with the Dream Center to develop a new 1800 seat Broadway Muscial Theatre, a 300 seat live music venue within a former industrial dome structure, and the convertion of a cement factory warehouse into a creative Art & Design Hub. In addition to this the studio are also working on the design of a new 25,000m² district Performance Arts Centre for the Xuhui district government, and the new Headquarters for the Shanghai Development Bank as part of the Green Valley development at the former Expo site.